WEGOGO – a business platform on WeChat that enables global tours and activities operators and travel hosts to connect with Chinese consumers –announced its aspirations to be the world’s “first travel blockchain for aspirational travel in Asia”. To do this, WEGOGO has expressed its intentions to raise US$88M through an ICO, selling 3.4 billion WeGold tokens at a value of 0.00006866 ETH each (approx. US$0.037 per token). WEGOGO wants to use blockchain to execute its peer-to-peer “PathFinder model”, building a rewards system for all that take part in the WEGOGO ecosystem that uses its own cryptocurrency. It goes towards the company vision of creating a “fair share travel ecosystem” that benefits all figures that make a travel experience – the storytellers, service providers and the travellers themselves. Since its launch in 2014, WEGOGO has generated an inventory of 400 experiences on its WeChat app, with 5,000 bookings from a predominantly Chinese customer base. The decision to launch a blockchain ICO is a key part of WEGOGO’s strategy to “really scale”. “In the years to come, you will see proprietary tokens for specific companies. 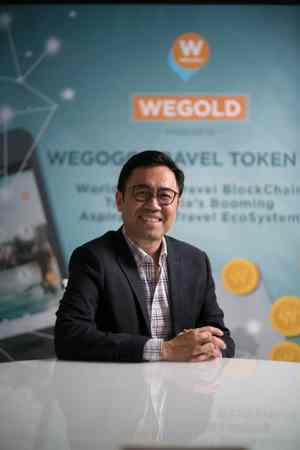 We’re creating a token that a lot of small travel tours and activities providers can offer,” said Wong Toon King (chairman, WEGOGO). Travel providers on WEGOGO (known as “aspirational service providers or ASPs)” are incentivised to deliver services to a high standard and promote the WEGOGO platform on social media, online and offline marketing channels, in exchange for WeGold tokens. Travellers will also earn rewards tokens for all bookings made on the platform. 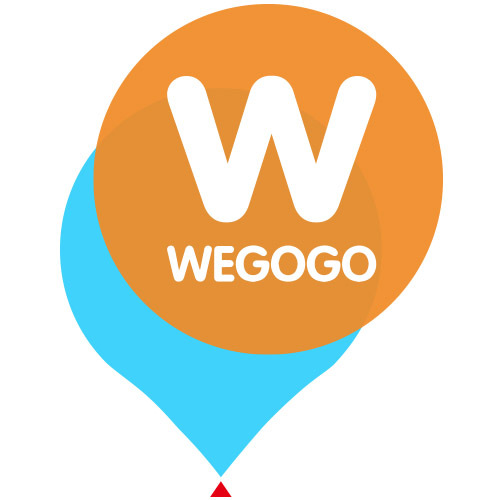 Frequent travellers (or ‘PathFinders’) are rewarded for uploading and sharing unique activities and destinations via WEGOGO. They are then further rewarded if their recommendations lead to more bookings. WeGold works on an Ethereum-based network, a deliberate move to ensure that whenever someone wants to “cash out” their WEGOGO tokens, they will be able to usefully convert it to its Ether equivalent. “If you can create liquidity… they [PathFinders] can spend it in other crypto-ecosystems,” said Wong. In essence, if users understand WeGold tokens as having real, tangible value, they will feel more inclined to collect them on the promise that they can be exchanged with other cryptocurrencies. The company stated that 15% of the funding raised in the ICO will go towards these PathFinder loyalty incentives. The remainder of the funds will be used to further technology and business development, go towards operating expenses, and 20% will be kept as “reserve funds”. Of course, cryptocurrencies and blockchain have faced a significant level of scrutiny as it has risen to prominence over the last few years. He also added that the movement into blockchain was part of the company’s continued efforts to bring smaller travel providers in the “long tail of travel,” the merchants who have yet to truly come online and start transacting with global travellers, online. “In the travel sector, for us, as we talk to local tour operators, they are the ones who are willing to sign on or take a bit of a risk… the bigger players are worried about fluctuation in value, so they have greater cause for concern. The company has gathered a credible body of advisors, including Kathleen Tan, Air Asia’s North Asia president, and The Travel Corporation’s Asia president, Robin Yap. Following the ICO, WEGOGO plans to identify and recruit 1,000 PathFinders throughout China that can discover places and tell stories. From there, it will use the peer-to-peer system to scale even further. WEGOGO follows the path of larger travel companies, namely Singapore Airlines and AirAsia, who have taken a step towards developing travel ecosystems within blockchain – SIA is creating a digital loyalty wallet and AirAsia is developing its own rewards payment system.